Our Mobile Workshops offer comprehensive support on location for all stunt and mechanical effects requirements. Our Mobile Workshops are self-sufficient, carrying their own power supply and extensive range of consumable products. Mobile Generator, Compressor, MIG & Stick welding plant, Plasma cutting equipment, A wide range of power tools, Portable lighting, A wide range of tested certificated lifting equipment, Refuelling equipment for stunt vehicles, Steel stock, A comprehensive stock of consumable products (Oils, Paints, Fuel & Nuts-Bolts) Articulated dummies, Quick-release systems, Towing equipment, Fire extinguishers, First Aid equipment & Electrical repair equipment. 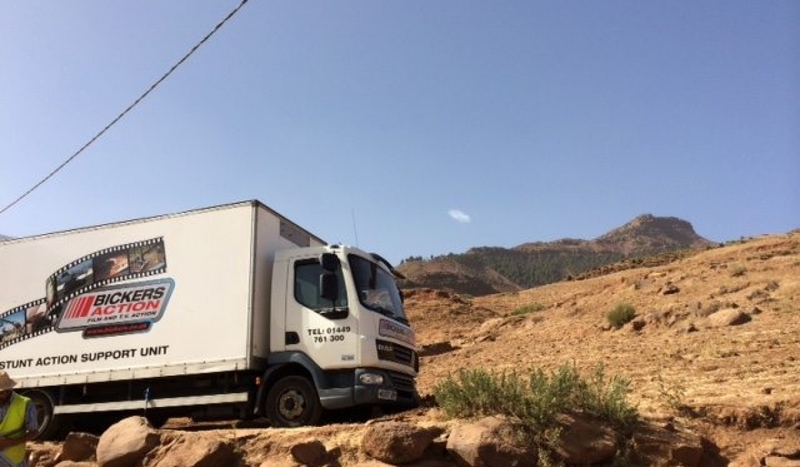 These Mobile Workshops have provided Worldwide support on a number of TV & Feature Film locations including, BBC Top Gear, BBC Casualty, Mission Impossible 5 and Fast & Furious 6.